I would have to say that they're timely, responsive, and knowledgeable. They always do good work for me, and I'm always satisfied with their performance on the job. They come on time, they have a reasonable price, and they always stick to the timeline they first give me in terms of how long the job is going to take. They can handle very large jobs. The best thing would be the ease of scheduling an appointment with them. I have done business with them for like 35 years and I would recommend them. Their service is easy to deal with. 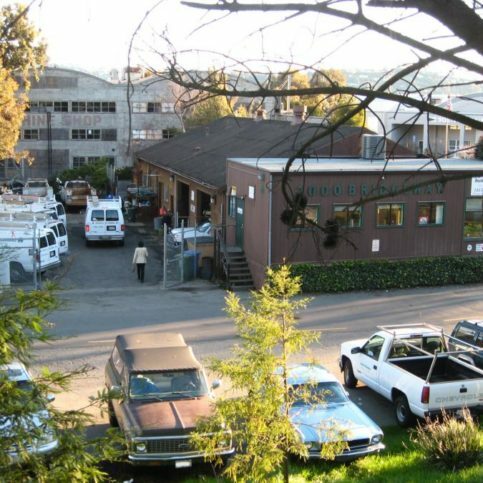 Burkell Plumbing, Inc. has been in Sausalito for more than 60 years. 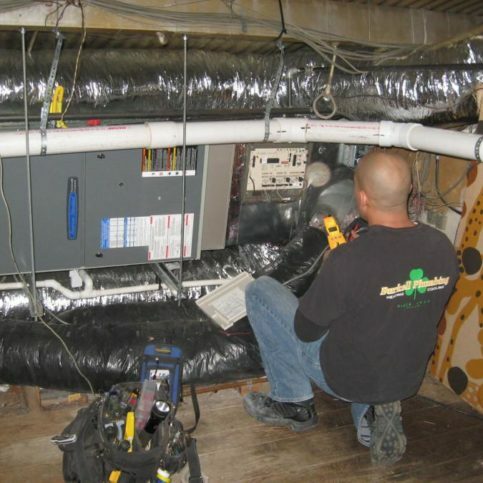 The company installs and services all brands of furnaces, air conditioners and boilers; specializes in air filtration; and works with heat pumps, combination boilers, and radiant heat systems for domestic heating purposes. It’s also a Certified Green Plumber and is up-to-date on all the new energy-efficient plumbing and heating options that are available. Owner Jake Newman has been with Burkell Plumbing for 39 years. 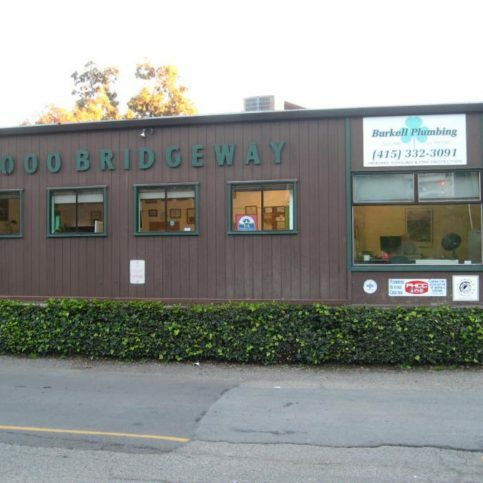 He serves on the Board of Directors for the Redwood Empire and State of California PHCC Associations. Jake is proud of his experienced technicians, most of whom have been with the company for more than 20 years and have passed their knowledge and commitment to superior work on to the next generation of heating and plumbing technicians. Mark Ganderton has been installing and repairing boilers and radiant heat systems for more than 30 years; Rolf Genther specializes in 95 percent energy-efficient water heaters and hot water return systems; Jeff Smith leads the way in updating the plumbing systems in older homes; Chris Fricke manages the plumbing side of things; Jake (Jr.) manages the HVAC side of the business; and Michael, Montgomery, and Kevin focus on furnace and air filtration. 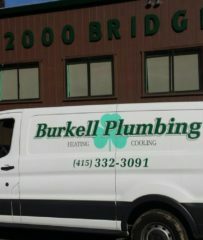 Burkell Plumbing requires ongoing training and education for its employees on all the new products and codes in California and the Bay Area. DIAMOND CERTIFIED RESEARCHED CAPABILITIES ON Burkell Plumbing, Inc.
Company Name: Burkell Plumbing, Inc.
DIAMOND CERTIFIED RESEARCHED ARTICLES ON Burkell Plumbing, Inc. 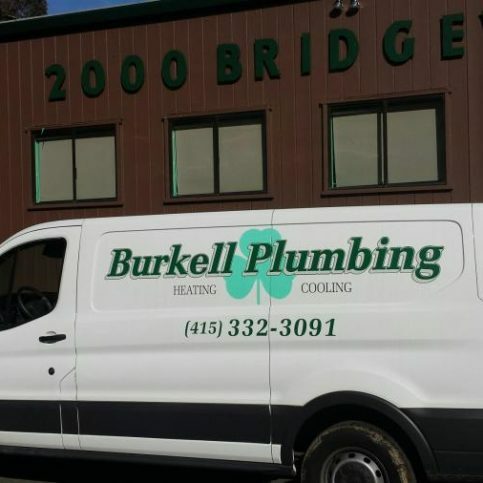 Unlike many companies in the HVAC and plumbing industries, Burkell Plumbing implements a variety of Green business practices designed to minimize its impact on the environment and save its customers money on their energy bills. 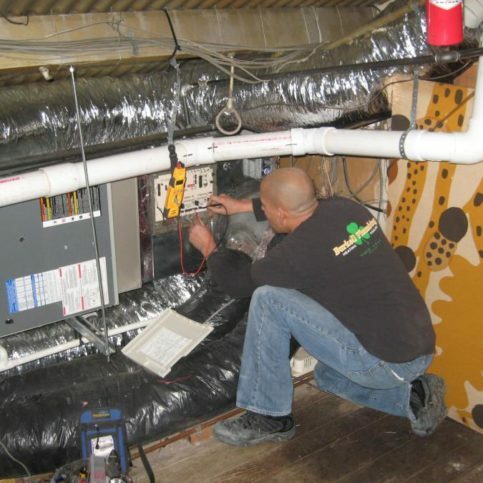 In addition to recycling all the materials it removes from homes and businesses, the company installs high-end brands of forced air furnaces, tankless water heaters and other systems known for their energy efficiency, craftsmanship and durability. 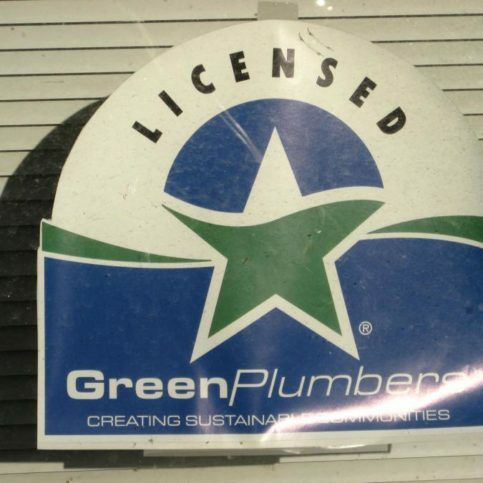 It’s also a proud member of Green Plumbers USA, an organization that trains plumbers to deliver conservation products and services to consumers and assist them in monitoring their water and energy consumption. • Lubricate all moving parts. Parts that lack lubrication can cause motor friction and increase the amount of electricity the system uses. • Check system controls to ensure proper and safe operation. Check the starting cycle of the equipment to ensure the system starts, operates and shuts off properly. • Clean evaporator and condenser air conditioning coils. Dirty coils reduce the system’s ability to cool your home and cause it to run longer, increasing energy costs and reducing the life of the equipment. • Check your central air conditioner’s refrigerant level and adjust if necessary. Too much or too little refrigerant will make the system less efficient. • Clean and adjust blower components to provide proper system airflow for greater comfort levels. Airflow problems can reduce your system’s efficiency by up to 15 percent. • Check all gas connections (gas pressure, burner combustion and heat exchanger). Improperly operating gas connections are a fire hazard and can contribute to health problems. A dirty burner or cracked heat exchanger causes improper burner operation. Either can cause the equipment to operate less safely and efficiently. Q: Can you provide same-day service? A: We can provide same-day service about 90 percent of the time. We always do our best to take care of our customers as quickly as possible. Q: When you schedule my service call, can you give me an accurate idea of when you’ll arrive? A: Yes. We respect our customers’ time, so we give them a two-hour window. Q: How much will my HVAC project cost? A: It depends on the scope of the job. Basically, we do a one-hour minimum first call; if it’s going to take longer than that, we’ll give you an estimate of what the complete job will cost based on time and materials. A: Yes, we recycle everything that we remove from a home or business. 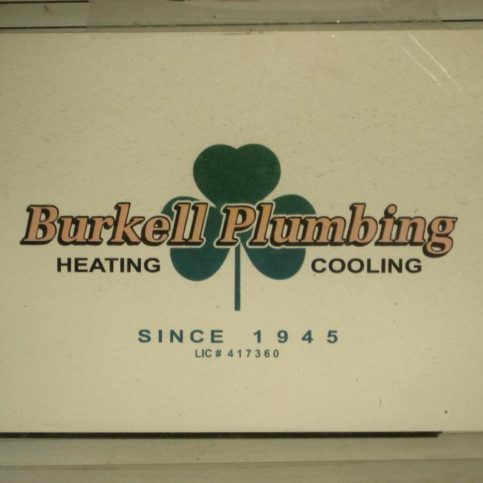 SELECTED PHOTOS FROM Burkell Plumbing, Inc.
DIAMOND CERTIFIED EXPERT CONTRIBUTOR ADVICE & TIPS FROM Jake Newman Jr.
Jake Newman Jr. is HVAC Service Manager of Burkell Plumbing, Inc., a Diamond Certified company. He can be reached at (415) 690-7905 or by email. A: The Golden State Warriors, the San Francisco Giants and the San Francisco 49ers. A: Hip-hop, R&B, and even a little country and alternative—I like it all. A: I’m a little of each. Usually, I can’t go to sleep before 11pm, but I have a natural body clock that wakes me up before 7am. A: Corn dogs, pizza bites, egg rolls—anything I can eat without silverware. SAUSALITO — If your thermostat stops working, there are a couple of things you should check before calling a professional. The first is simple: make sure it has batteries. Locate the battery compartment either by taking the thermostat off the wall or removing its face or cover. While you’re checking for batteries, you should also check to see if there’s any corrosion on the battery contacts. If there is, clean it off using a cotton swab and white vinegar. If the batteries are in place, you’ll need to take another step to diagnose the situation. After removing the thermostat from the wall, take a gator clip or piece of insulated wire and insert the ends into the R and W terminals on the wall-mounted wiring panel. This is a technique used by HVAC technicians to “jumpstart” a furnace when the thermostat is malfunctioning. If you’re able to turn on the heat this way, you know your problem is either a malfunctioning thermostat or just dead batteries. If you don’t get a response, the problem may be with the internal components of the furnace. 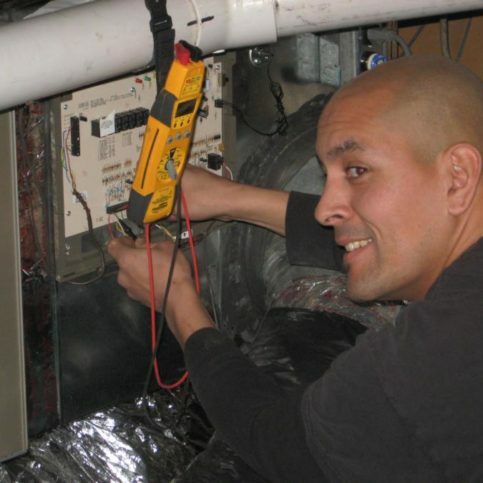 If the problem appears to be internal, you should call an HVAC technician to look into it. However, if all you needed was to replace the thermostat’s batteries, you just saved yourself the cost of a service call. SAUSALITO — Host, Sarah Rutan: If your thermostat stops working, there’s one way to tell whether it’s an easy fix or a more in-depth problem. 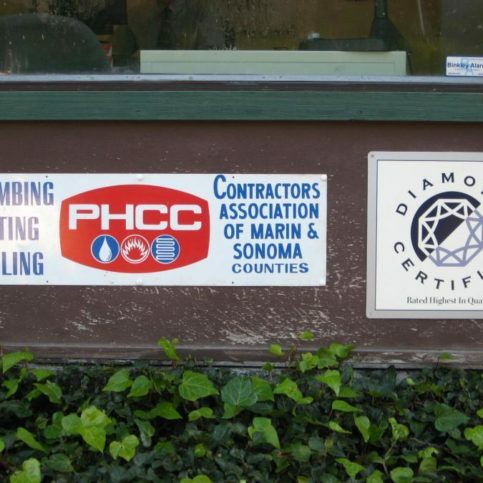 Today we’re in Sausalito with Diamond Certified Expert Contributor Jake Newman Jr. of Burkell Plumbing to learn more. Diamond Certified Expert Contributor, Jake Newman Jr.: When dealing with your residential, at-home thermostat, if you are not getting a call for heat or getting any sort of response out of it, one, before you call your local technician, you might want to check to see if your thermostat has batteries in it – either in the back of the stat or sometimes along the wall where it’s mounted. If you can’t seem to get it to turn on, one easy thing: Make sure your batteries are good. Make sure there’s no buildup. And make sure it’s powered up. If you’re good with the batteries, you can always take a gator clip, like us technicians use to bypass and jump devices – or even an at-home piece of wire, kind of like the thermostats have. You can put this across the R and W terminals, which it makes a call for heat, without using the thermostat. If you get a response, then you know you have a bad thermostat or bad batteries. If you don’t, then it seems more internal with the furnace, and then you should call your local technician. 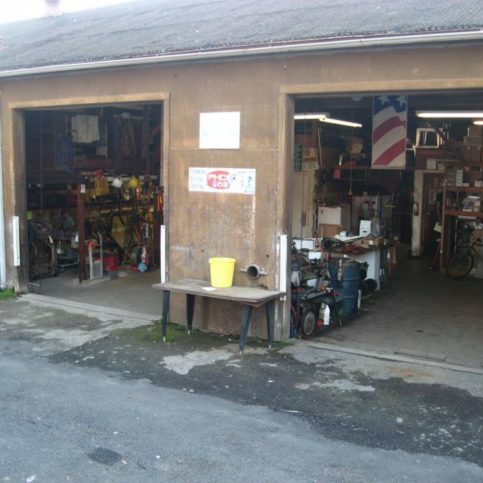 Save a few bucks, though; check your batteries, check the system before you call us out to fix it. Diamond Certified RATINGS ON Burkell Plumbing, Inc.
Burkell Plumbing, Inc. : Average 9.0 out of 10 based on 345 unique customer surveys of customer satisfaction. Very good, but very high priced, maybe no more than some others I guess, but I was extremely happy with their work. They are on time and do what they say they're going to do. They were great. They were prompt and efficient. They were prompt and available. It's excellent work but priced high. A plumbing comapny that comes out once and gets the job done. They got the job done the first time. We always call Burkell. They are perfect. They are responsive, they know how to fix problems. I've been using them for 15 or 20 years. I'm satisfied. They are a dependable, trustworthy outfit. They do a good job and you pay for what you get. They come and they do whay they are supposed to do. We always like the guy that has consistently come out to our house. Give them a try, they are excellent. I would recommend them. They know what they're doing, they're efficient, and they get the job done in a timely manner. They show up on time, they do the work quickly, and they clean up their mess when they're finished. I'm pleased with the way they handle everything.